Our new home! Western style new construction with Thai accents. We had been living out of suitcases for the last 2 1/2 months when we arrived to Mae Sot. So the desire to find a place to hang our hat was very strong within us. After a couple days of searching, we became settled on two different houses. The first, a 4 bedroom, 2 bathroom, we dubbed Fruitlandia since it has more than 10 different species of fruit bearing trees and vines with ample space to practice agro-forestry. Our children were very excited by this property because it meant a lot of adventuring in our own front-yard. The second property, a 2 bedroom 2 bathroom, is directly across the street from our partners in the Charis Project, the Hagelbergs. They have a family of two similarly aged children and live a similar lifestyle as we plan to have in this country. 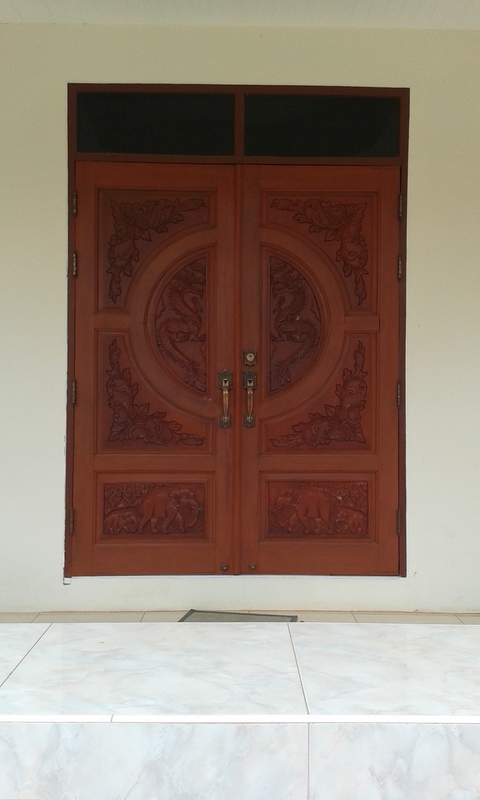 Our front doors are really cool, dragons carved on the outside and pheasants carved on the inside. We were torn between which house to get. The larger one held great possibilities but also a lot of upkeep and is very close to the farm. The price was around $270/mo. The smaller one is… smaller and we weren’t sure that a 2 bedroom would be large enough for us, but it is across the street from friends. It’s price was $180/mo. Shannon and I were both stumped as to which property we should take. 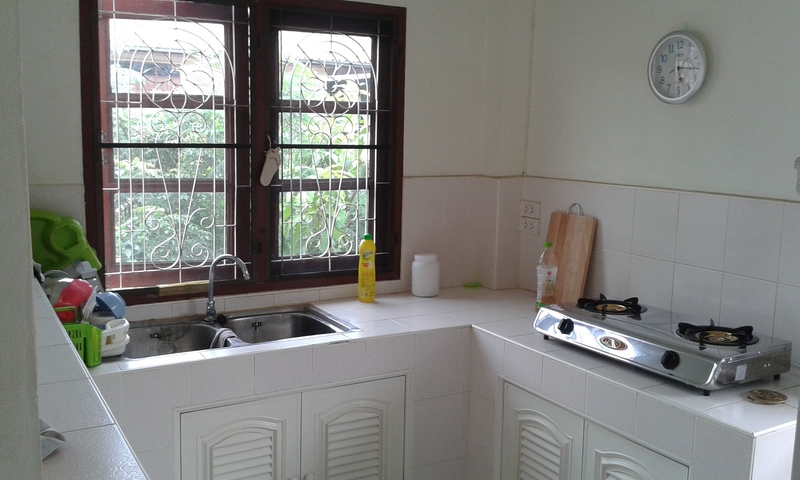 Our kitchen, small and clean. The burner runs off of propane; natural gas is not a thing here. 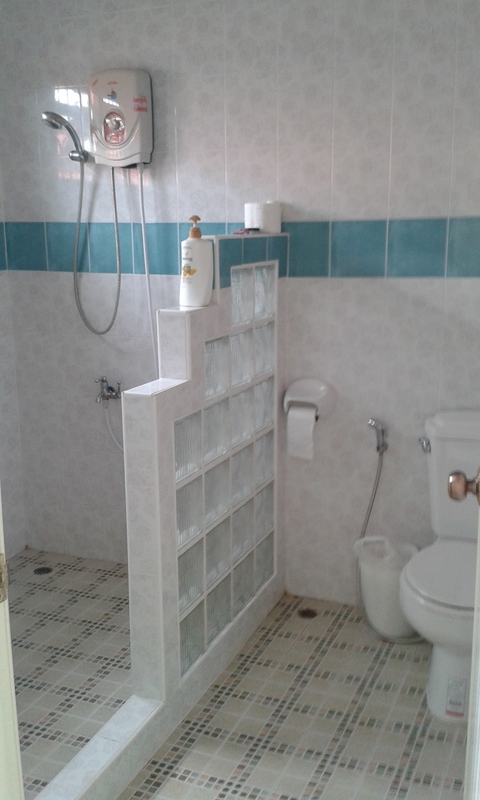 A western bathroom with a physical divider between toilet and shower! Speaking with our director about these things, struck a chord in my heart. I began asking how we would be able to pay for a Mae Ban (a cleaning lady who does house work for you; Farangs [westerners] are expected to have a Mae Ban and you are considered to be cheap if you do not do this). 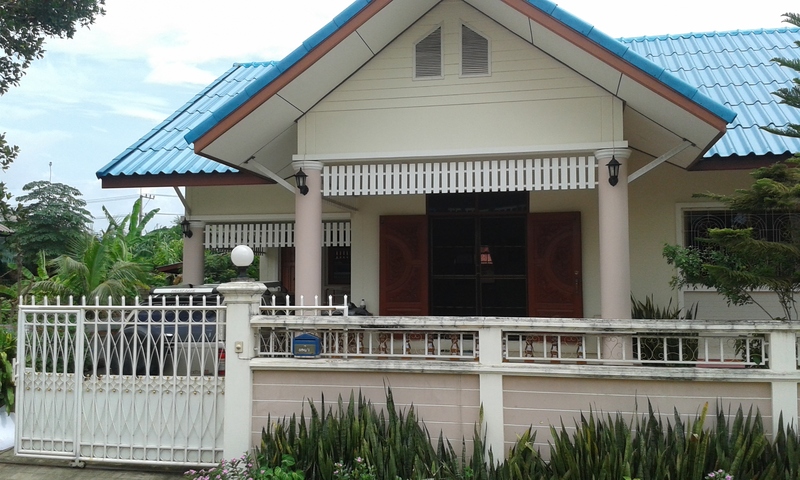 I realized that the difference in cost alone between the two properties would enable us to afford a Mae Baan. If I could go with less, then I would be able to provide more to someone who needs it more than me. I made the decision at that point that we would choose the smaller home, but I asked that God would confirm this by leading Shannon to the same decision. When I arrived home that evening, Shannon had made the same decision for similar decisions but also for the sake of simplicity and minimalism so that we could have more time freed up to be a part of the work we’ll be doing with the Charis Project. This decision, as small as it was, really confirmed, for me, our calling and identity and reminded us why we are in Thailand. I have a feeling that this decision will continue to lay the foundation for a life filled with more joy, purpose, vision and Goodness. I LOVE it!!!!!! It’s perfect. Yay!!!! Welcome home.